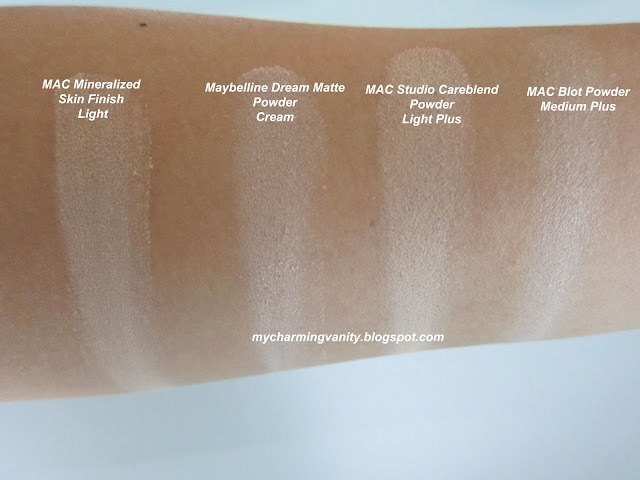 Since I've been wanting to blog about my thoughts on MAC MSFN vs. Maybelline Dream Matte powder. 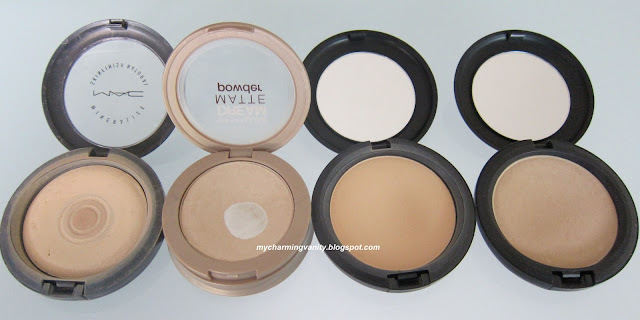 I thought why not just share an overview of the all face powders that I currently own. I've never been much of a powder person and frankly speaking, I never really bother to touch up my makeup as well for the longest time. However, I've been really into achieving long lasting makeup ever since I've started working. Blame the extensive walking, humid weather and long hours; I always need to double/triple check my makeup in the office throughout the day to make sure I won't look like crap by lunch. So, this obsession with long lasting makeup eventually transformed into an obsession with powders. I own 4 powders with 3 coming from MAC and 1 from Maybelline. 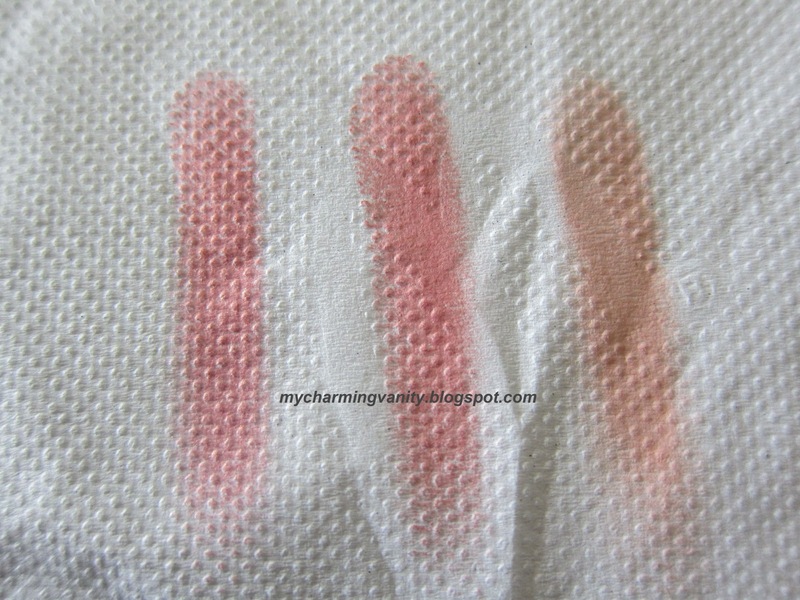 I'm sure if anyone of you have read this post, you would know that my least favorite is the MAC Blot Powder. Again, I know there are many who swear by this powder but to much dismay, it just did not work for me. "Provides dimensional yet natural-matte finish. 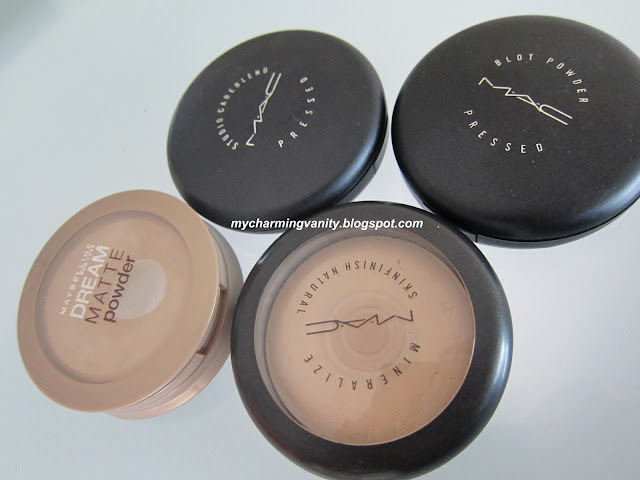 It is also said to provides the perfect low coverage"
I must say among these 4 powders, MAC MSFN is the one that provides the most coverage. The finishing of the powder is somewhat matte yet also gives a soft natural glow. If look closely, you would notice some extremely small specks of shimmers and I believe that it is due to the ingredients in it. Mica, I believe is the ingredient that gives that subtle shimmer. Well, I hope my chemistry did not fail me. In terms of texture, it is very soft and goes on the skin easily since the powders are finely milled. The lasting power of this powder is rather decent and would usually last me through an 8 hour work day. However, I think in terms of oil control, this is the worst among the 4 as I would usually notice shine by lunch. Due to the coverage, I always pair this up with tinted moisturizer, lesser coverage foundation or even just wearing it alone with some concealers under it. I wouldn't recommend to pair this with any foundation that has bad oil control properties or none long lasting, such as the Maybelline Dream Satin Liquid, unless you want to look like a shiny disco ball by the end of the day. As for pairing it with medium to full coverage foundation, it still works however u need to apply it light handedly to prevent a chalky looking finish. This is actually my second favorite among all four powders I own, mainly due to the matte finish it gives off that offers versatility in my collection. Ever since I bought this, I've always wondered why many compared it to the MAC MSFN since both really compete on a different ground. 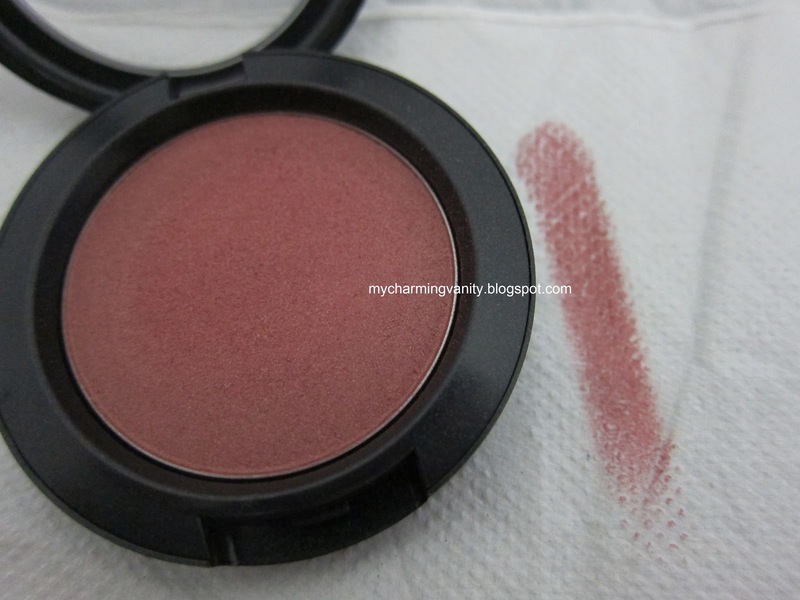 I would say this is more comparable to MAC Blot Powder rather than the former since both powder gives off matte finish. 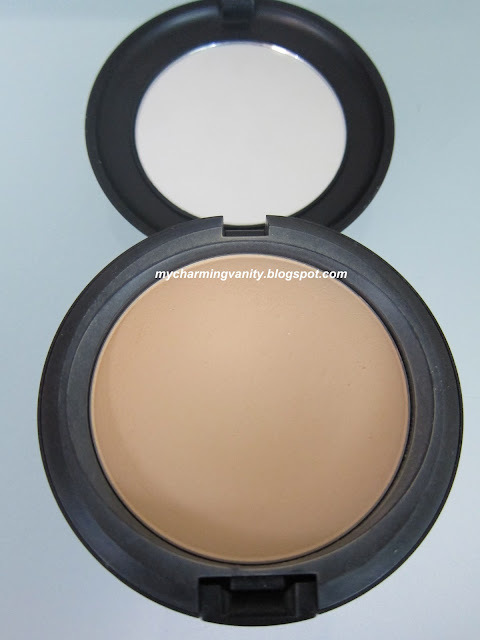 Coverage wise, this product provides very sheer coverage. Albeit slightly more compared to MAC Blot Powder which has zero coverage. I feel that texture wise, this product is on the losing end compared to all others as the powder is not as finely milled. Oil control wise, it does a decent job and is comparable to the MAC Blot Powder. As for the lasting power, I personally feel that this fares the best among all. 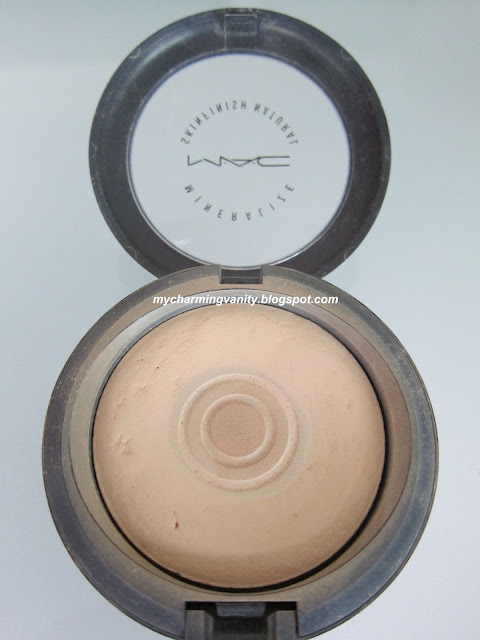 I usually wear this with my Estee Lauder Double Wear foundation or MAC Studio Fix foundation. Due to the sheer coverage, this powder can never be worn alone but it does work well when paired with medium to full coverage foundation as a finishing powder to set the foundation, giving a longer wear and natural matte looking skin. Somehow or rather, I get always get many compliments of a flawless skin when I wear this with the Estee Lauder foundation. I gotta admit that I bought this outta sheer impulse while I was at the airport. Like its claim, this powder has the best texture amongst 4 and it really feels moisturizing, soft and smooth upon application. 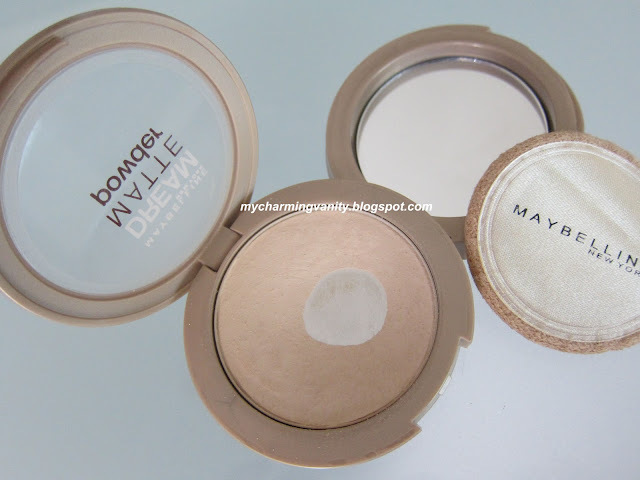 I would say that the finishing of this powder is similar to MSFN, slightly dewy. The lasting power and oil control are very similar to MSFN but slightly better. And for coverage wise, it fared pretty well and come in second after MSFN. However, one thing I really dislike is that because this powder is so finely milled, yes extremely finely milled, so much that it actually sits into my pores on days when my skin is like crap. And the result? My pores look way bigger than they really are. Really not pretty! Up to now, I've always paired this up with the medium coverage kinda foundation. It actually works pretty well so far with my Studio Fix Fluid and it is great when applied light handedly with the more drying foundation like the Estee Lauder Double Wear foundaion. However, I would only wear this when I have better skin. This is definitely my least favorite powder among all mainly because it has no coverage at all which is, a big problem for me. The best part of this is that it gives complete matte finish and the oil control properties are the best among all four powders. The main reason I dislike is that it always look blotchy and cakey on me when I use it for touch up, which defeats the purpose of getting it since I've wanted it to be my touch up powder through the work day. Seriously, I don't find myself reaching for this powder at all since I have yet to own any full coverage yet dewy liquid foundation. Hope this detailed overview helps! 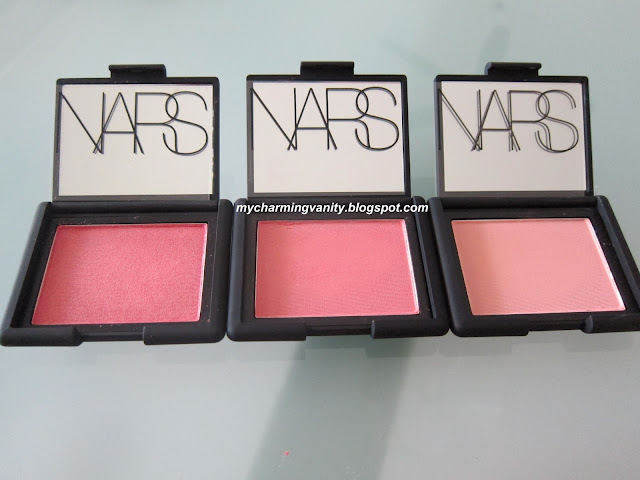 Swatches: The Cult Favorite NARS blushes. I've finally bought the NARS blushes after months and months of contemplation. 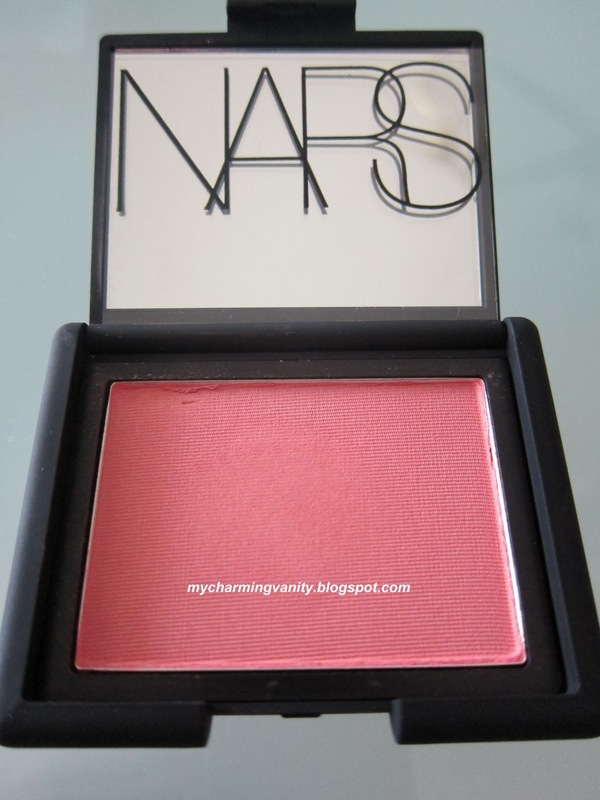 After all, I still consider spending US$27 on a blush a huge indulgence for myself. 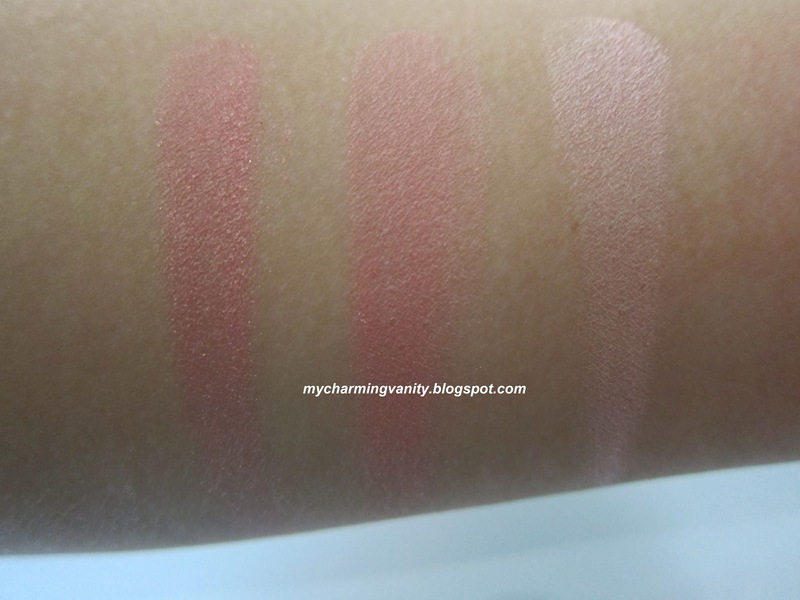 I've always wondered why they're so hyped among many bloggers and now I finally understood the reasons behind all the love for these blushes. 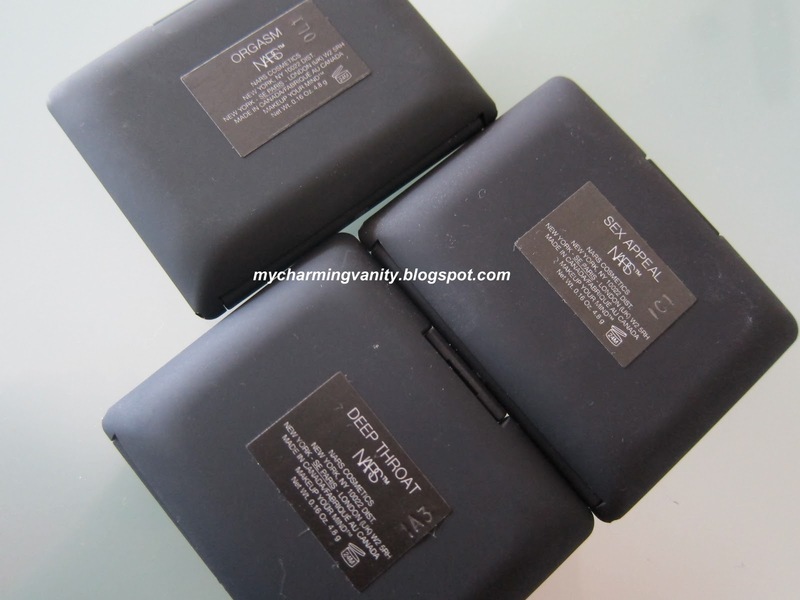 Each blush is packed in a sleek black packaging and comes with 4.8g of product. The blushes are highly pigmented with very little fall outs and they show up really nicely on the skin. I also like how each color is unique in its way. I'm still not sure whether they can make it into my holy grail list though but I'll definitely keep u guys updated on this. I'm really glad that I finally bought them. In fact, I'm slowly falling in love with them and am planning to get more in due time. Review: Mandom Cleansing Express Agecare & Bright Up Cleansing Lotions. If you are looking for an effective, fast and convenient makeup remover, you are at the right place. The Mandom Cleansing Express is one of my new found love which I've discovered in the aisle of Watson's (my local drugstore). 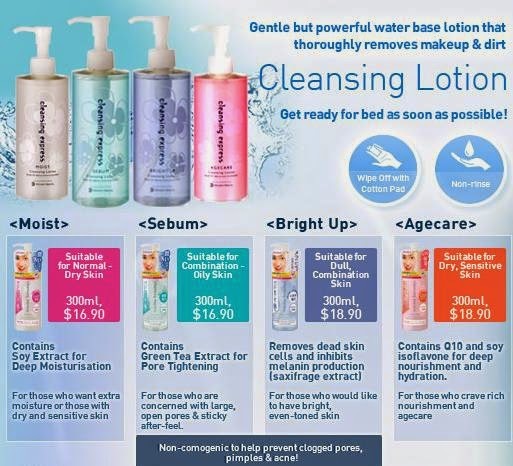 Retailing between SG$ 16.90 - SG$18.90, this product is 100% oil free, water-based and comes with moisture retaining benefit while providing effective and fast cleansing action that is comparable to an oil cleanser. Whilst the traditional oil cleansers usually require an extra step of rinsing the residues off, this water based product kicks that step outta the picture. Amazing right? Frankly speaking, I was pretty skeptical about the product's many claims initially. Make up remover that is oil free, preservative free, alcohol free, colorant free, fragrant free and best of all water based? Sounds too good to be true to me! However, after using one bottle of it, I was completely sold. So impressed that I ran out and purchased my second bottle immediately. The product comes in 4 different types, Moist, Sebum, Agecare and Bright Up. I have tried Bright Up & Agecare which I must say I am very impressed with both results. I do personally prefers Bright Up due to the brightening benefits but Agecare leaves my skin soft and moisturized. With the many benefits aside, this product is perfectly design for people with hectic work hours. I gotta confess that there were many times when I got home really late from work, I would just remove my makeup with this product and jump into bed straight without even washing my face nor applying any skin care products. I know its a bad habit but the amazing bit is that my skin still looks OK the second day. This product is definitely one of my Holy Grail at the moment. I totally totally recommend this product if you are looking for a quick and efficient makeup remover without burning a big hole in your pocket. P/S: On a side note, I gotta say that this product has been able to remove all my face makeup (even heavy foundation) and light eye makeup so far. If you are into very heavy eye makeup/or waterproof mascara, it might take longer to remove and may not work as well. One of my current obsession. 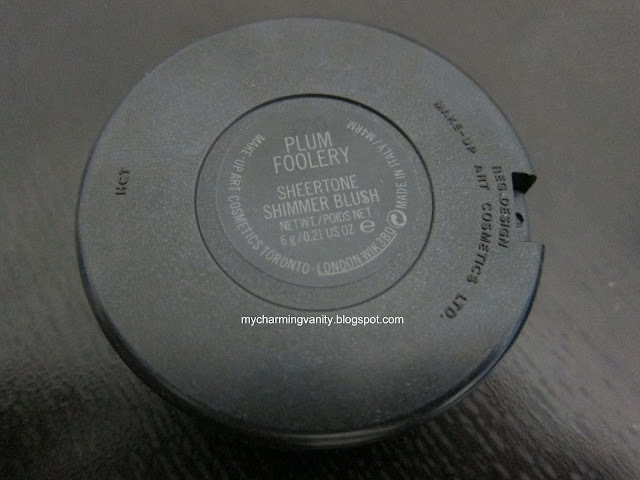 Though the change of seasons do not exist in the tropical country that I live in, I would imagine that MAC Plum Foolery would be the perfect shade for Fall. 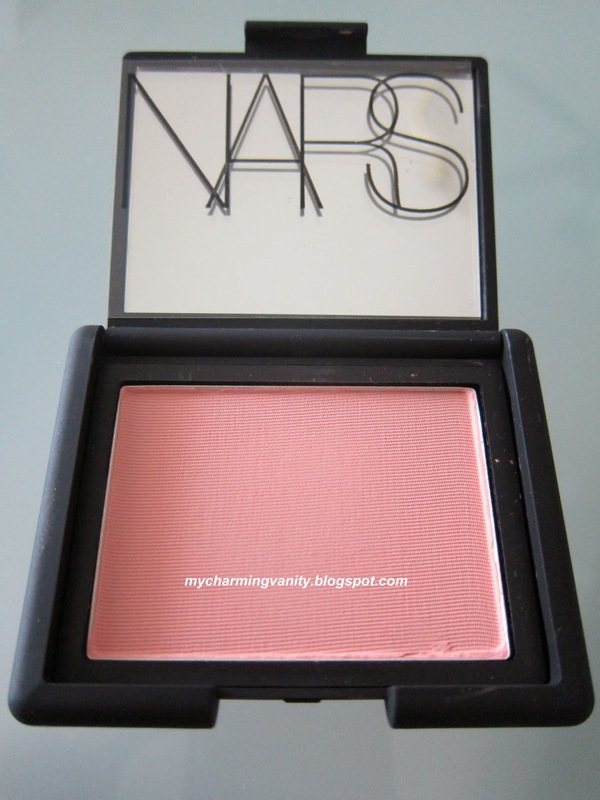 Being a huge blush addict, I like switching up my blushes every few weeks. 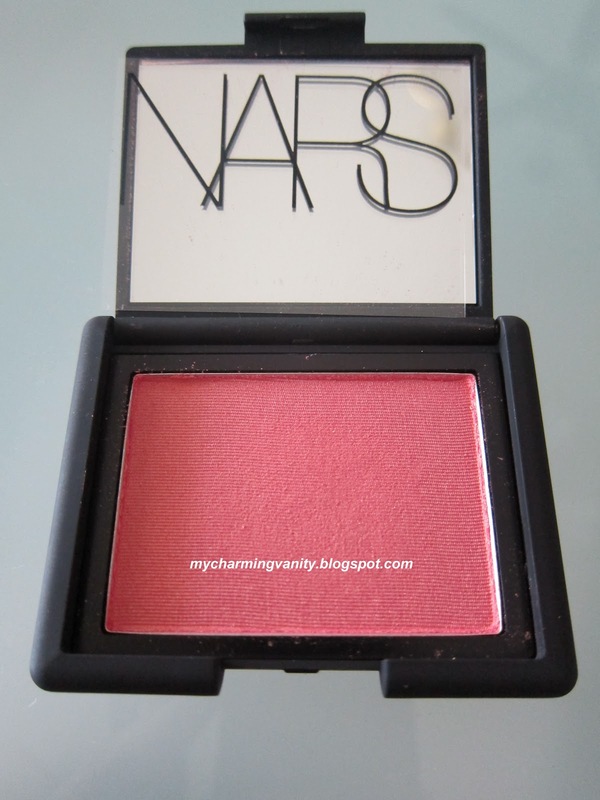 And my current go-to blush for work is this, as I think that the color brings out some sort of mature look from me. This blush is from the "sheertone shimmer" finish line. 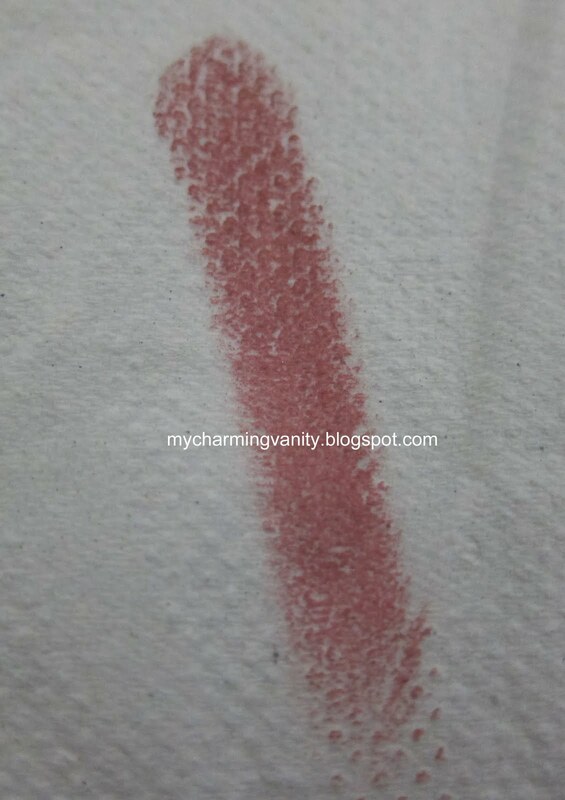 True enough, this berry color comes with small specks of gold shimmers. 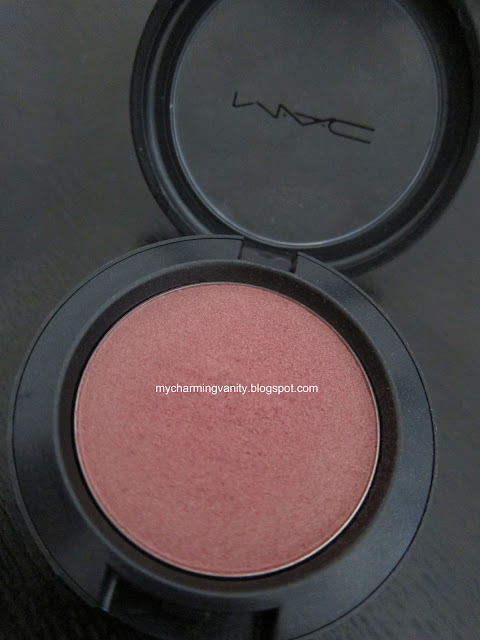 The pigmentation is great and unlike my other favorite blush - MAC Well Dressed, I reckon this blush will work on almost every skintone. If you are searching for a berry blush or a blush in prep for Fall, this is definitely one that you can check it out! Swatches: Too Faced Leopard Love. Another product which I bought quite some time ago but haven't had the chance to share the swatches here. The Too Faced Leopard Love. The main reason I was attracted to this palette was due to the really cute packaging. I thought it might be really handy for travel too. Since I'm always on the move traveling between Singapore & Malaysia. Though I'm not a big fan of shimmery bronzer, so far, I really like the blush and highlighter. Pigmentation wise, I think it is just average, not the best I have seen so far. The palette retails for SG$ 46 at Sephora. Not a bad deal at all! Let me know in the comments if u would like more information on this palette. Review: Make Up For Ever Sculpting Kit. I gotta admit that I'm slacking off from keeping up with posting reviews on this blog. Whilst I've made many efforts in the past few months in blogging, it's still kinda tough for me to get thru this transitional period from student to work life. So, I hope that for those who visits this blog often, please do bear with my lack of reviews and replies in comments. Back to the main topic today before I start lamenting bout life. I bought this MUFE sculpting kit few months ago and had been wanting to share my thoughts on this for the longest time. I bought this from Sephora at SG$60, a pretty hefty price tag in my opinion. First off, the packaging. I guess u would have noticed this is slightly different from the usual packaging, where the normal ones come with clear covers. I was pretty surprised at check out too but since this was the last one available probably an older stock?, I bought it anyway. However, I still wish I've gotten the clear cover ones since the black packaging tends to get dusts and powders stains really easily. The sculpting kit is available in 4 different shades and like all of MUFE's products, they go by numbers instead of an actual name. The shade I'm in is #1. I like how the product comes with a shading powder and highlighting powder. Being a person who travels pretty often, this is a really handy kit to bring along. 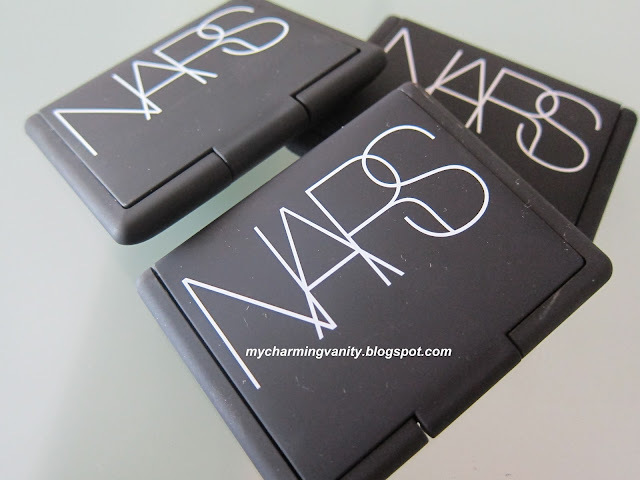 Not to mention that it's very compact; great to chuck in makeup bags while u're on the go. 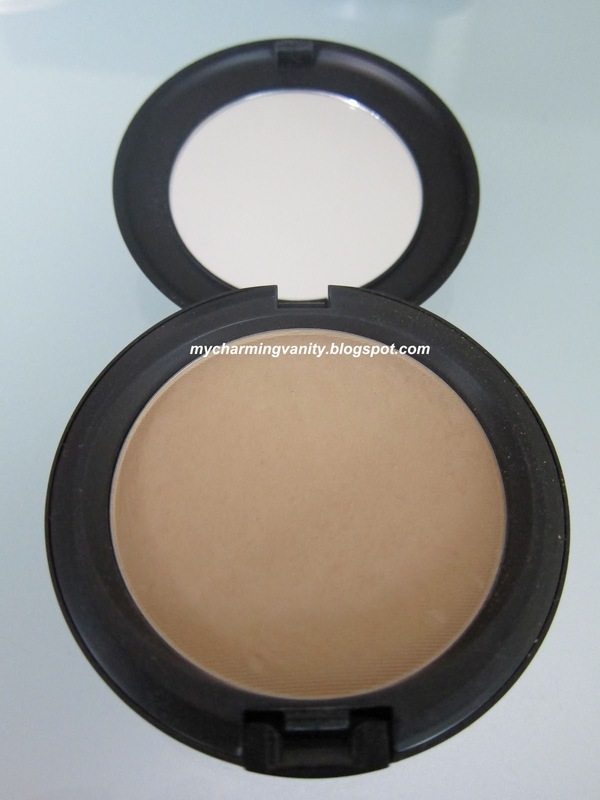 The main reason I was attracted by this product is cos of the matte shading powder. I'm a huge advocate for contouring and highlighting, and the matte powder is just great for me to make my face more dimensional. Pigmentation wise, I would say that both shading and highlighting powder in the kit have really great color pay off. But one thing that I really dislike is that becos the powder is so finely milled, they tend to have a lot of fall outs. As for the highlighting side, I really don't care much about it since its kinda pink/porcelain shade, which in my opinion doesn't look too good on my skin tone. To give a better idea of the shade, I decided to swatch it next to Bourjois and ELF bronzing powder. As you can see, the MUFE bronzing powder (described as tan on the website), has more reddish brown undertone to it. And, it is easily the most pigmented of the group. Though I like the product and its concept, I wouldn't recommend it to everyone since the product is way too pricey for its worth. U basically get only 5.5g of each sides and with the amount of fall outs, I think this will be gone in no time. Also, I believe that there are plenty of cheaper options available in the market. Bottom line: Would I repurchase?